The Theatre New Mexico 2014 Festival is this April 10-13 in Ruidoso. We would like to put together a group of interested people to attend and represent the Community Players of Hobbs at the Festival. The Playhouse has been active in TNM in the past, and since 2011 has returned to competing in the AACTFest (which at the state level is put on by TNM and hosted by TNM member theaters). 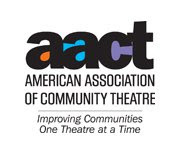 This is not an AACTFest year, however the annual conference and festival features a monologue competition, 10 minute play showcase, and various workshops of interest to theatre people. If you are interested, please contact Nathan Miles at nmiles@nmjc.edu. He will be heading up our group and potentially directing the 10 minute play (if there is sufficient interest). Please contact Nathan by February 7th, as the registration deadline for the conference is February 17th. PLEASE NOTE: All registration fees and travel/lodging will be at the individual's expense.